The author and columnist says The Flame deserves another look. Randy Boyagoda is a literary critic, English professor, novelist and The Next Chapter columnist. He will chair the 2019 Scotiabank Giller Prize jury. Boyagoda read The Flame, a collection of Leonard Cohen's last poems. 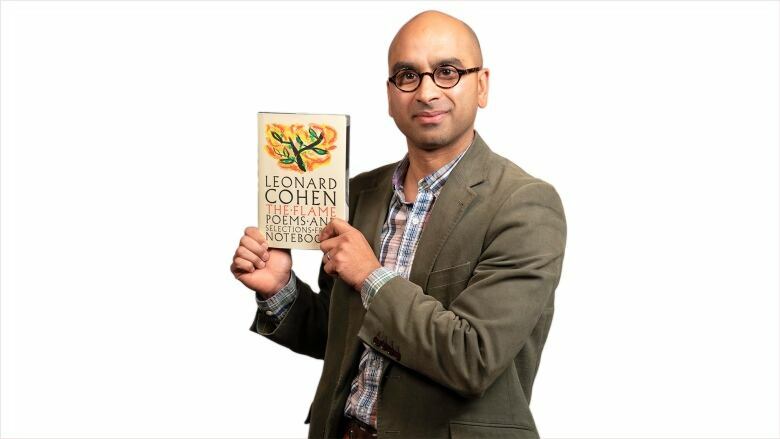 "My impression of Leonard Cohen's life goes back to a really important moment in my own life as a writer which happened when I was probably 14 years old. I was watching TV and randomly caught a TV re-broadcast of a 1965 National Film Board documentary called Ladies and Gentlemen... Mr. Leonard Cohen. It's this beautiful profile of Cohen done in the mid-1960s, just as he was emerging as a major figure in Canadian culture." "Reading The Flame, it's unsurprisingly a beautiful volume of Cohen's late poetry, original artwork and selections from his notebooks that date back decades. The editors suggest, in a speculative but confident sense, that Cohen would have wanted this to come out as it did. "The Flame 'warms up' and highlights his entire body of work. That's why I like the title. It doesn't expose anything. It doesn't make anything brighter. But there's a warmer sense I think of Leonard Cohen as a writer and as a person writing that we get from this collection. It warms up our sense of this very cool guy." Randy Boyagoda's comments have been edited for length and clarity.